The man was hit by an SUV early Wednesday morning on Route 26. POLAND — A pedestrian was killed Wednesday morning on Route 26 in Poland. 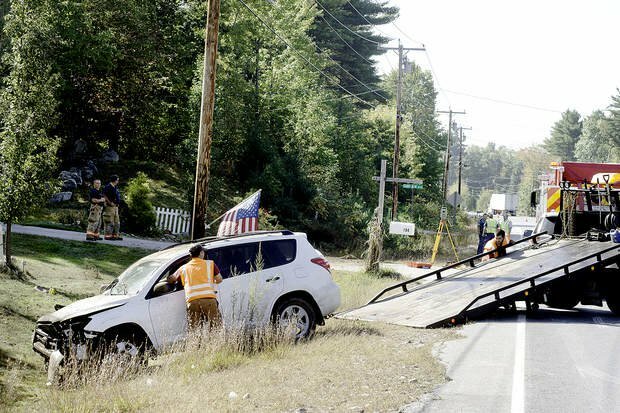 Grace Sleeper, 52, of Oxford, was driving a Toyota SUV north on Route 26 when it struck Richard Knox, 47, around 7:30 a.m., according to a statement by Androscoggin County Sheriff Eric Samson. Knox died at the scene. Sleeper was taken to Central Maine Medical Center in Lewiston with injuries that were not considered life-threatening. Knox lives in the Kennebunk-Biddeford area but had been staying with friends in Poland, police said. The vehicle left the road just north of Starry Night Drive and hit the pedestrian, carrying him on the vehicle to the driveway at 194 Maine St., which is also Route 26, where he was found. The SUV was launched after hitting the side of the driveway and went airborne, clearing a utility pole, mailbox and fence. The vehicle landed in the woods about 70 feet from the driveway, damaging the front end and smashing the windshield. Alcohol does not appear to be a factor in the crash. Preliminary investigation indicates Sleeper may have fallen asleep after working all night, according to the statement. Police had closed Route 26 from the New Gloucester town line to Route 122, but it was reopened by noon. Dawn Cyr, who lives at 194 Maine St., said in the past year and a half, two vehicles have gone off the road at that spot.